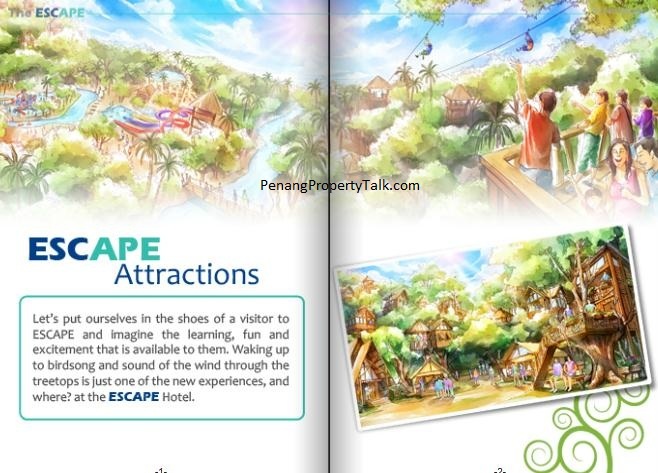 Escape Penang, the up-coming eco-friendly theme park located in Teluk Bahang, Penang. Sim Leisure has been granted the approval from local authorities to start the project and the construction work is planned to begin early September 2011. 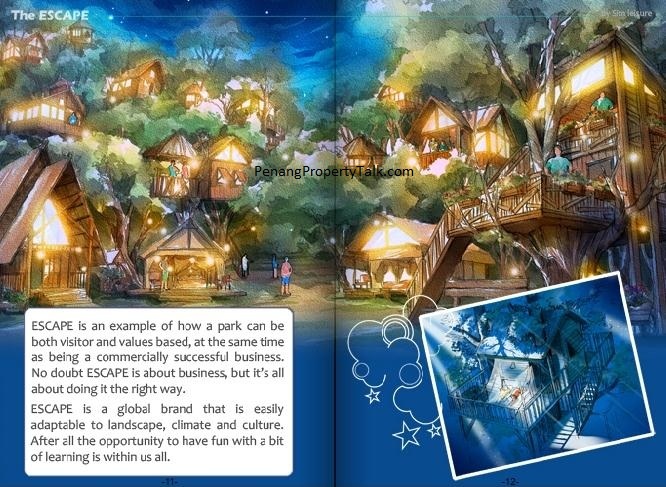 The theme park would have five components – fun hotel, water park, active park, animal farm and jungle adventure. 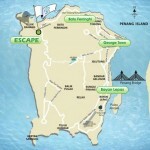 For more details, you can visit Escape Penang website. so amazing… another proud to the people of penang to bring more tourist around the world and specialy malaysia. Congrat to the one who bring this idea.. we can do more..more.. and more in future…..
when this project can b ready? Idea is good, but hope the maintanence is good as “eco-friendly”. Teluk Bahang is reserved forest, perhaps the development would not damage the eco life in this peacefull land especially don’t bring-in human “rubbishes” into this zon. 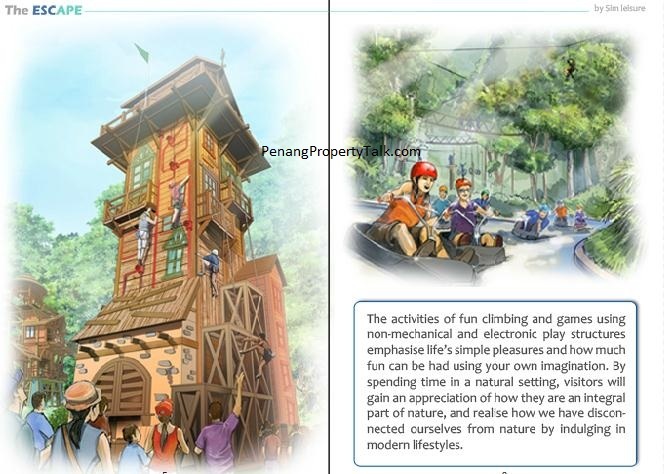 At last a theme park in Penang, I am waiting so long for Penang to built one. Eco Theme Park? 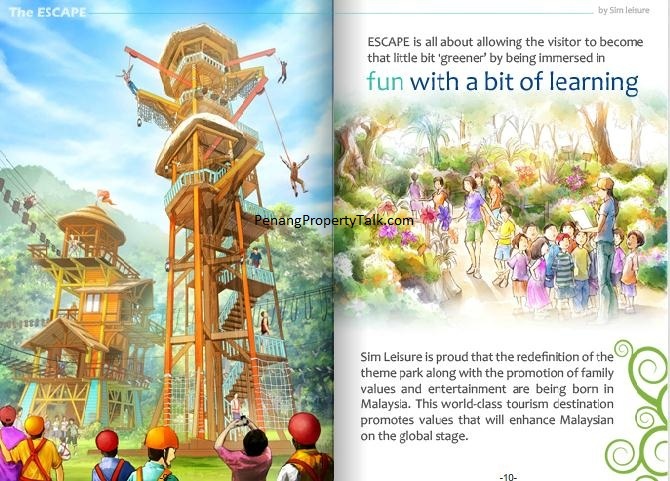 End up will like Bukit Merah that kind of park, can’t maintain….People only visit once and never come again…..Build one Disneyland at Seberang Perai or Bukit Mertajam i will put a thumb up for Penang! 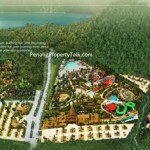 Or build a theme park on Jerejak Island or how about make it a Disney Island theme park? Johor will build 3 theme parks on their Iskandar Project and they will get one soon next year for Legoland. Penang? Wait long long la…. 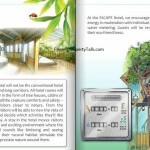 Is good for Penang Island to start up the 1st ever Eco Theme Park, Congratulation and Keep It Up. I agree with “ECONOMIC CRISIS” mention People Only Visit Once BUT there are more people from foreigner as well as domestic residents. The different between Johor and Penang is One is Isolated Island (Nature of Seaview and Forest) and another is Mainland (Big pieces of cake and a lot of room to grow) . So, in term of economy, scarcity in land will push the cost of building even higher, they can’t afford to waste any single square feet in Penang Island. Penang is following the footstep of Singapore as well as Hong Kong, there maybe overprice scenario but what surprise is many foreigner perceive it as undervalue in term of Property Price and Currency. So…………. That is still a lot of Mega Project launching in Penang. The idea is great, but I foresse a big issue with the present road systen leading the visitors all the wauy through the narrow roads of Bt. Ferringhi. I think that is the only way… make be got speedboat from gurney? There is a plan to construct a new road connecting Tg Bunga to Teluk Bahang. If I am not mistaken, this road would start from the old Tg Bunga road, link to the Permai/TAR college site, then cut the hill all the way connecting to Teluk Bahang. Quite an agressive plan if you look at it from google map, I wonder how they gonna make the connection from Permai to Teluk Bahang to happen, all covered with hills basically. It wud definitely make Penang a must destination among the tourists. With the Penang 2nd bridge, traffic to the island wud be smoother. The airport is being upgraded and Penang wud be a better place to visit for vacation. My concern wud be the heavy traffic to reach this theme park. Cant imagine how the traffic has to crawl along the Batu Ferringhi winding roads. What wud happen when there’s an accident or during heavy downpour. Special boating services for the tourists shud be provided at reasonable price and of course, safety of passengers shud be a priority. The BF roads shud be upgraded and better lighted at night. Traffic control during peak season shud be in place during peak season. The new road as planned shud be realised early. Make sure, anything that is done shud reflect world class or we may lose out to Singapore/Thailand as tourist destination. dreaming of comparing Penang to Singapore. why do we need to compare PG wt SG? Why do we need PG to become heavily developed like another SG? tourists are attracted to PG for the relative availability of nature and beaches, and heritage buildings. trying too hard to become another Singapore will drive tourists away, and we will certainly lose out in any competition against Singapore to mimic them, as they have more financial resources and name. “Why do we need to compare PG wt SG?” No comparison no improvement. A country develops when it progresses. water and animals also cheaper to realise. Don’t underestimate ourselve. Is it be happy to look down ourselve? or just blindly chase for “developed Country” but our mind still 3th world country. Malaysian have it own strange only goverment didnt maximize the resource or wasted it. Since you think Singapore is better, I could suggest you migrate to Singapore. In this world got 2 kinds of people. First one is always complaint and doing nothing, other one is come out with solution and react. If you don like you current situation you couldn’t have better achievement in your career our life. singapore?? what can you get there? 6) Friendly environment as we can see Penangites brings their family(uncle auntie) to hang around, shopping during weekends , while singaporean just keep their parents in old folks home. flights Penang Airport handles in a month ? Buyer, straight to the point, atleast Penangites doesn’t send their parents to old folks home. That makes every single penagite, Malaysians proud of it. What else is better than ethics dude? I listed 6 things that Penang beats Singaporean with facts. brought in ? How many tourists came to Penang because of better food ? How many foreign tourists came to Penang dirty beach ? The mentality of Penangites brought in how many tourists ? to you will be found guilty by hanging. Buyer, Penang is just a state, Singapore is a city and also a country, are you comparing a terrace and a condo? If Penang is better than Singapore ENTIRELY, then what else did Singapore left? The point that I pointed out is the advantage which Singapore is nothing better than us (Penagites). You’re not able to pin point any facts as well too. I bet you’ll only be able to get a store-room sized apartment in Singapore, if you have Singapore friends, do Invite them to my house’s toilet which is 700 sq ft = as big as their studio / house. I’ll get their whole family to stay in my toilet. two casinos and Airbus 380. Don’t tell me MAS also has. OMG… Buyer is not a Singaporean? Gosh!!! Buyer you damn farny… It happen that 1 casino belongs to uncle lim la…. I am talking a about the “NUMBERS of casinos” and not who owns it. comes in and says another thing. Later somebody will say hey,most of the employees also from Penang. the words and meanings before commenting or to state your facts. Buyer, you’re like a joke, now you’re comparing 2 casinos and airbus 380? Let me tell you, Malaysia owns the biggest airport in the world. And 1 casino belongs to a Malaysian. you can say anything and everything without knowing your mistakes. of air traffic and passengers it handles will tell how big the airport is. you had read ? What do you call your yourself ? Lets face the fact. Singapore is already a developed country, and Malaysia (of course including Penang in this case) is at least 30years lagging behind in terms of development. From all social aspects, incluidng infrastructure, security, welfare, healthcare, and education system, Malaysia is not anywhere near match to Singapore’s Standard. Penang is depending heavily on Manuafcturing and Tourism on the economic perspective, and also promoting the rich in culture (people, foods, buildings etc), and heritage status. However these are what the under-developed country are doing and selling urrently such as vietnam, cambodia, thailand, and Indonesia. Sad and Nothing to proud of, we know where we are and who should we be comparing to, Singapore is definitely not an apple-to-apple comparison. We have to accept the facts not all people are keen in Malaysia to make this a developed country like singapore, neither involved nor interested to make this happen. Go and talk to those living around kampung, they just want to have a peaceful life, with continuous support and supply given from government, thats the primary. The rest of factors such as who rule the country, corruption, transparency, effeiciency, are just secondary or none in the priority list. These people form the majority of population in the country. most advance highway ? Is Petronas Twin Towers the tallest building ? From all the deficits Penang has compared to Singapore,… wonder why Buyer live in Penang and not in Singapore? Care to share any positive point that might even the odd? mindsets.If I say China is bigger than M’sia,do I have to stay in China ? I share the same perception as buyer. I have been offered a Singaporean Citizen once but I rejected. Reason is clear, yes, singapore does provide a better sense of living and quality of life, but “it is not my HOME”. Malaysia provides the homegrown soil, established strong link of relationship since childhood, the living environment which you love about – the food, the people for example, those are irreplaceble. Not to deny Singapore is a much developed and liveable place as compare to penang, but it is not a place that i should call Home. I spent some of my time in Europe countires such as Germany and switzerland before, these places are comparable to singapore in terms of development, but offered much better quality of life. You get to own a court-yard home, free education life-long, less stress in work, weekend getaway and long holidays. But do i want to stay there, no, I still want to come back to my “Home” malaysia. So why bother to compare Penang with Singapore or anywhere else? Why heck care if the foreigners or tourist interested to come Penang? Lets love our Penang and Malaysia and make it a better place together. Please ask yourselve what can you contribute first. Back to this theme park, I think it has all the reasons to be suuecssful, and lets support it. As for the Penang property, I already own a few, and i intended to pass to my children in the future. can leap, for your knowledge. ms, finally some sense I fully agree. We all knew where we stand compared to SG and not to mentioned other countries sharing borders with Malaysia. Are you sure you understood ? About the road-widening project from Tg Bunga to Teluk Bahang which just been announced by CM recently, anybody knows whether this to be done on the existing windy coastal road, or another one? I am very curious to find out, and I believe that this would help to bring up the value of property price in BF and perhaps TB which all the while facing the trouble of accessibility. Fast learner but with a lengthy explanations needed. You got to vote wisely in order to call this piece of land ‘a home’, else, no hope. 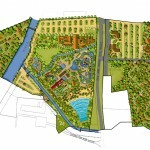 Build a theme park on national ‘reserve forest’, don’t it will destroy the green nature? Please stop this stupid idea. i fully agreed on what you said above, you gain my respect. Malaysia = a place where you feels like home, where the passion and happiness are shared within families, elders, and all. that’s the difference, the culture and the value where real people truly treasure, priceless. With this theme tourists will stay 1day longer. Average 2-3days trips become 3-4days in Penang. So, the income will from tourism will also increase. Keep it up! The other thing should improve is the public transport. Anybody care to share what is the latest development for this theme park?? There are simply no news at all & their own website don’t even mention any latest update. I think Penangites wld be very happy if it is a successful project. At least, there are ppl who don’t just build luxury hses and condos. But, i hope it is not on the national reserve forest. Else, they only take an advantage on penang’s beautiful hills. @ms, yes. totally agree with u. we dont hv to compare with SG. but still, so many malaysians who dream of being singaporean. Just the site looks nice but no information inside. i’m afraid its another malaysia project who able to BUILD but can’t MAINTAIN. We’re all living in Malaysia to make it a better place. If it’s not for us, then at least do it for our children. Also, vote wisely! The election is drawing near. I am living in Bt Ferringhi, Every PH, Saturday and Sunday the Batu Ferringhi road jam heavily. The Jam are concentrate in 2 area. In front of Boon Siew Bungalow and Miami Beach. Why, because not enough parking and people start to park beside the main road and make it from 2 lane into 1.5 lane. Worst is no traffic police around to help. The jam ussually queue until in front of maybank tanjong bungah and in some worst case. until penang swimming club. With this jam, it now take about 45 min to Batu Ferringhi from Tanjong Bungah instead of 5 minutes. I really love to have a Theme Park in Penang, But to built a Theme Park in Teluk Bahang without a new Highway is going to cause a massive jam for people like us living in Batu Ferringhi. Please built the new higway first before you open that new Theme Park. Well you want to know the developement of the park i was with the company that is doing the park….First let me say that is not a park that i would take my kids too, there were so many corners cut when building that it not safe at all to my standards….. They were pushing so hard to get open by July 1st had to over look safety of patrons..
As being ECO park WHERE? ?they compleaty destroyed the river bank on the river side of the property not to add all the cutting of the mass amounts of trees on the site also how is this ECO frendly?? Open date is now Sept 1st..
To all watch your step at escape.. There will be no highway but additional traffic lights installed. unfortunately,The theme park didnt include a world class zoo ,like singapore one. We got a lot of Zoo, Taiping Zoo, Zoo Negara. You do not expect all in one(Penang) right? Penang got zoo is it no good now? All thing in penang is it no good? Are you penangite? Please la, if not penangite and do not support penang development, blah !!! We come to Penang for the sun and beach. Zoo or no zoo…no difference lah! Now got Theme Park, lagi best ! from Penang but did you been to tokong ular, did u go to bukit bendera?did u go to butterfly farm?did u go to toy museum?did u go to the aquarium? There is nothing ECO / Environ Friendly about building a theme park in the forest reserve area on a hill slope ok? Furtheremore, there is the teluk bahang dam nearby. I’m a penangite and loved every bit of penang but i think this ECO park idea is a disaster in making. Build an ECO park in the seberang prai level ground area as suggested by “Economic Crisis” would be a better option rather than balding out the hills in penang island further. Wait for Batu Kawan theme park. Today’s news saying Legoland in Johor is a great success, how true, let’s open our eye and see. But this Eco park, really no eye see! Penang want to be a world tourism spot? Please, at least build a world class theme park like Universal Studio (but Singapore has one already); Disneyland, Sea World, Six Flags Adventure Park, etc. I beg to differ. Penang needs something different, something niche. Universal Studio, Disneyland, Six Flags are just a bunch of roller coasters. I agree with the people who say, we should not be like Singapore, we can create our own uniqueness. There are many type of tourist in the world. The party lovers go to Thailand. The “gamblers” go to Singapore. The nature lovers go to …. Penang! “gamblers” go to Genting and the backward thinking brains go to Penang. 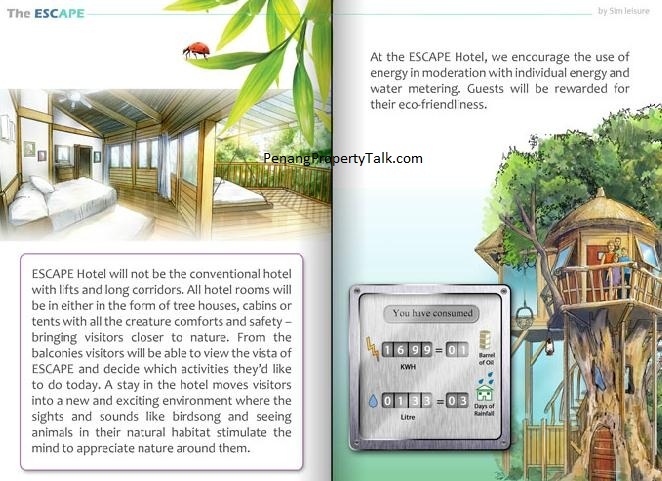 animalfarm and can also have haunted hotel…like in disneyland lor. Dear all, to be honest as a penangite I am happy to see the developments in pg for the past 5 years. My properties value increases in the island and mainland. And life is getting more exciting and attractive. Of course we may remain to stay and rest at home. Also wanna to see the upgraded Pisa which with sky garden if I am not mistakenly. Is it in progress now? I am also excited to know there are more concerts in Penang. As a city we need more colorful life on top of our super yummy food but getting too exp by looking at the serving. One thing we may not realize, they are many Singaporeans visiting Penang lately, other than the developments and food, never forget air asia to convey tourists to pg. the new upgraded pg airport is much impressed than before despite still small. Clean, air conditional with reasonable price is another good afford. Central government and hence i would suggest we all should view all the projects positively. Of course we can voice out our point of view but should not criticize it. If we are smart enough why not we suggest what should be the development instead? Fyi, JB hs build 2 free expressway to link the whole islandar. Infrastructure was one of the main keys to make me own my first property in JB. But can Penang state gorv afford to build a expressway timely with limited support? Lastly i am looking forward to visit escape this coming cny. Btw I am a penangite but was away for years yet I back to my lovely hometown pg at least twice a year to enjoy. Just to honest, if pg becomes a dead town, how many of us will stay still? Even of we can survive with simple life but can we survive with low saving (never mention those with limited income)? We may be able to survive with simple life but are we going to give our next enervation with simple education and eventually lost their competitive power to others, this could mean those from other cities in Msia… Don’t forget ppls are very mobile and realistic now. We have to face it even we choose to avoid it though. To be honest I like Penang not only because of it’s food and people, but also it’s scenery and heritage. We need to maintain these while transforming into a world class city. These will make this city more attractive and unique. I like and amazed with what the current state gorvement has been doing for the past 5 years or more and looking forward for more of these great jobs. Btw I remember there was a proposal for monorail or such. In my opinion I don’t think we real ready to have it in our lovey pg yet. Until we hit a mil of population be it in the island or mainland respectively, we are not ready for it. As the traveling cost will be sky high due to under utilization and high running cost. And adequate bus and taxi services is necessary to comprehend it. Now i do see very positive improvement from bus service but still a long way for cab service. Cab fare and no of passenger is a chicken and egg game. Without a reasonable and affordable fare, guess ppls with drive, or ask your family to help, even your fren. Guess this sound very common to most of us. Of course never forget cab cleaniness /condition and drivers with the right attitude is equally important too. Let’s work it out together and make own home city a better, nicer, cleaner and more developed city without losing charm of its unique culture and/or heritage. As mentioned very feedback carries its value. Few months ago there is an accident cause a person died and the theme park have cover the issue with a big amount of compensation fee. As some of the building n equipment are not safe as the company have ignore the safety requirement.. Those who want to go really need to think abt it as its not worth for the risk. What about those who appreciate the beauty of the hills and the seas, and yet value the convenience of modern living and the importance of good schools, safe neigbourhood and quality medical care? nature, you can choose where you want. Fren, I’ve been there for twice. It’s awesome and clean and nice and fantastic and excited and we plan for 3rd , 4th, until the theme park completed. yes totally… dont want penang to have the ordinary ones. 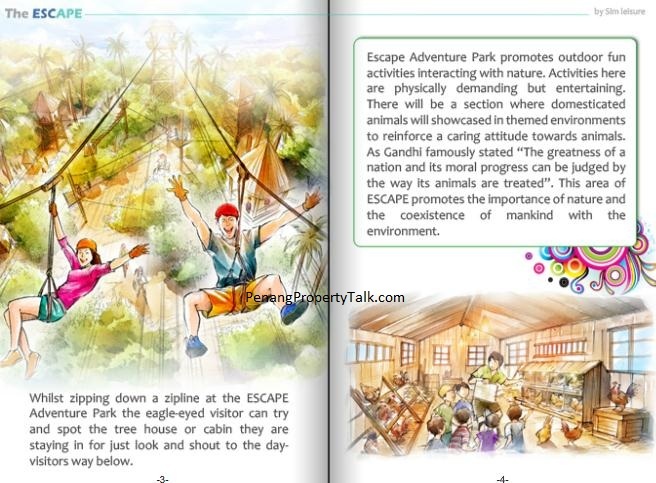 this escape theme park will promote body fitness, greenery loving mindset and complete fun in a lush green lung. unlike those in kl, jb and genting which are just boring roller coaster and waterslides… penang is always a unique destination and makes unique projects making it stand different in the nation and world map.